Created and edited by Nadia Shammas. 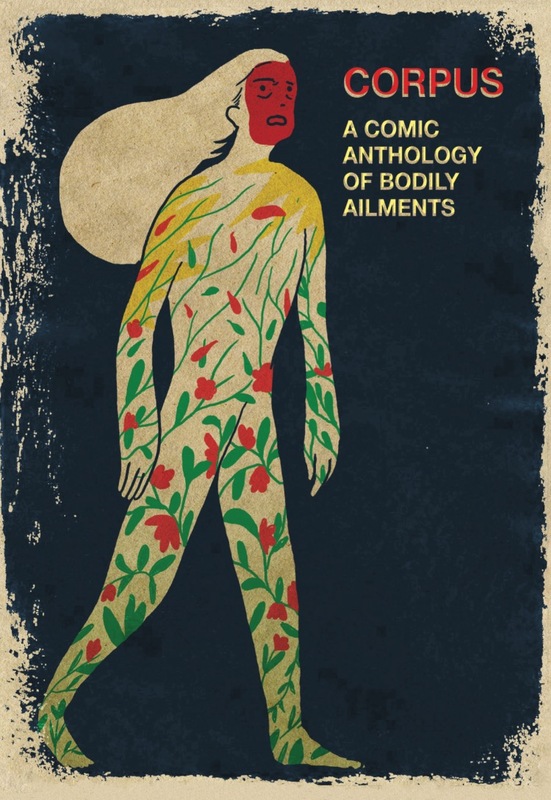 From the mind of Nadia Shammas and featuring works from dozens of exciting creators and up-and-coming talents comes Corpus: A Comic Anthology of Bodily Ailments. It’s an book that tells the kind of stories we tend to overlook — or even avoid — when we’re feeling healthy, when we feel we’re taking our health for granted. 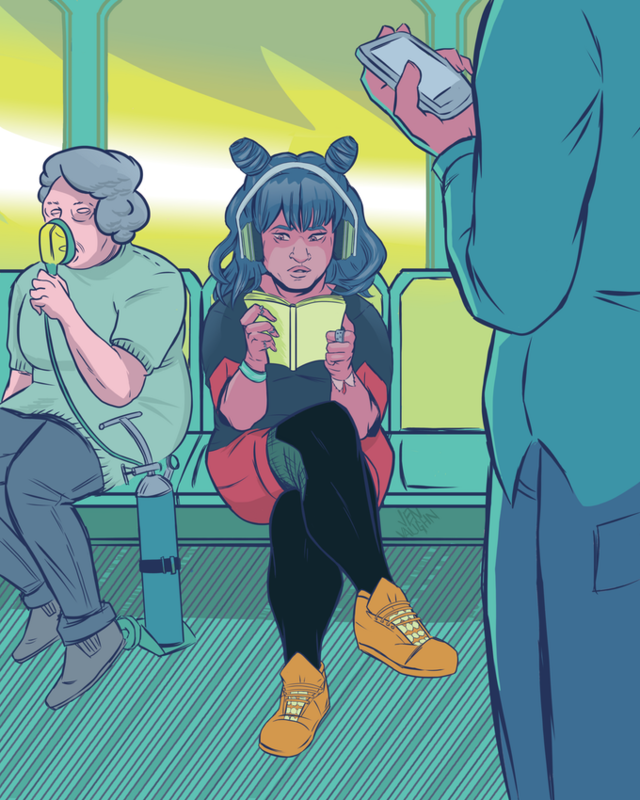 Corpus promises to be the kind of book that will focus on all types of illnesses, be they physical or mental, curated by someone who knows a thing or two about coping with a body that doesn’t always work in their favor. If you’d like to contribute, or are looking for more information, please visit Shammas’ Kickstarter page. A full list of creators follows, as well as a five-page preview of Corpus: A Comic Anthology of Bodily Ailments! 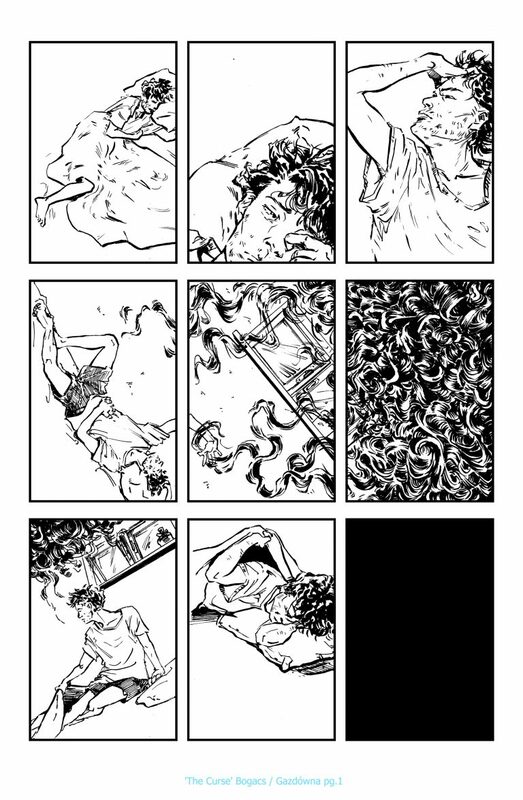 From Kickstarter: CORPUS: A COMIC ANTHOLOGY OF BODILY AILMENTS is an anthology about illness, both mental and physical, in any form as well as healthcare experiences. It is a full color book with over 200 pages of content from some incredibly talented folks tackling a huge variety of personal, scary, hilarious, and poignant topics regarding illness. There are 40 stories ranging from peanut allergies to losing an eye, from depression to epilepsy, from what it is to care for a sick person to tackling the stigma of a chronic illness yourself. Featuring the work of: Christopher Sebela and Haley Boros, Ryan Cady and Phillip Sevy, Ram V and Caspar Wjingaard, Alex Paknadel, Vita Ayala and David Stoll, Ryan King and Alabaster Pizzo, Kendall Atkins and Page Firby, Matthew Erman and Renee Kliewer, and Elaine Will. Tini Howard and Caroline Stuart, Alejandro Aragon, Christof Bogacs and Kaska Gazdowna, Ann Uland, Ben Khan and Lilly Taing, John Robinson IV and Danos Philopoulos, Akeem Roberts, Cathy Leamy and Judy Leamy, Jim Gibbons and Melody Often. Erica Schultz and Kevin Maher, Cody Sousa and Ben D’Amico, Brian Level, Cameron DeOrdio and Eli Neugeboren, Mady G, Shing Yin Khor, Querelle P and Dante Luiz, Ian Mondrick and Elodie Chen, Kevin Schaefer, Andrew Herman and Mike Rosenzweig. DCS, Hal Matthews and Olivia Mercurio, Holly Aitchison and Morgan Perry, Fred Kennedy and Soo Lee, Ryan Estrada, Eliot Rahal and Sean Andrew Lynch, Stephanie Cannon and Emily Pearson, Mark Bouchard and Stelladia VS, Pat Shand and Ryan Best, Mister Loki, Vicky Leta, and Rebecca Farrow. From “The Curse”. Art by Christof Bogacs and Kaska Gazdowna. 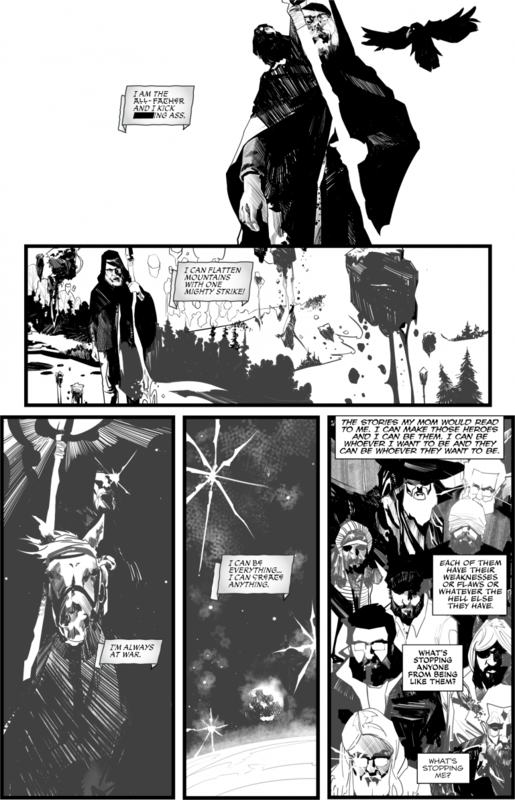 From “Odin’s Eye”. Art by Cody Sousa and Ben D’Amico. Kickstarter exclusive print by Jen Vaughn. Cover to ‘Corpus’. Art by Mark Wang.